The University of Southampton has been awarded over half a million pounds to help improve assessment and feedback for students as part of a Higher Education Funding Council for England (HEFCE) programme aimed at addressing differences in student outcomes. The Southampton Education School has secured two awards as part of 17 projects countrywide, involving 64 higher education providers, who have received up to £500,000 each from HEFCE’s Catalyst Fund over two years. The projects are aimed at addressing gaps in higher education outcomes between different student groups. Southampton has been given a grant of £499,999 to further develop its Researching Assessment Practices (RAP) project, led by Professor Carol Evans, which enhances assessment and feedback practice at Southampton. A further £50,000 has been given to another University-wide project led by Professor Evans, working with RAP colleagues and students across the University, aimed at helping students to self-monitor and self-evaluate their work. Professor Evans comments: “These grants mean we can continue to build on the valuable work we have already been conducting to help support students’ development, progression and attainment – engaging students in the design, delivery and evaluation of assessment feedback. 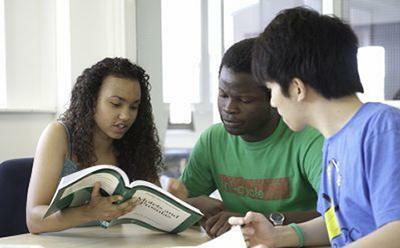 The HEFCE ‘Addressing Barriers to Student Success’ programme particularly benefits those affected by differential outcomes highlighted in previous HEFCE research, including black and minority ethnic students, students from lower socio-economic backgrounds, disabled students (including those presenting with mental health issues and specific learning difficulties), mature and part-time students. University of Southampton RAP project members include: Laura Grange, Ian Harding, Judith Lock from Natural and Environmental Sciences; Goran Mashanovich from Physical Sciences and Engineering; Carol Rivas and Mary Gobbi from Health Sciences; Sharon Pettit, Vesna Perisic; Emmanuela Lotti, Sharifa Al'Aldawi from Social, Human and Mathematical Sciences; Lisa Harris, Neil Ford, Max Chipulu, Mark Telford, Keir Thorpe, from Business, Law and Art; Mary Page, Veronica Spencer, Vanessa Mar-Molinero from Humanities.